Olive Mae, 10 half months (47 weeks) :: Even through clingy, whiney moments, this girl makes me smile so much. Huge cheeky grins, the most wonderful cuddles, giant open mouthed kisses. She is funny, lovely, kind and oh so independent. She is also extremely cheeky! 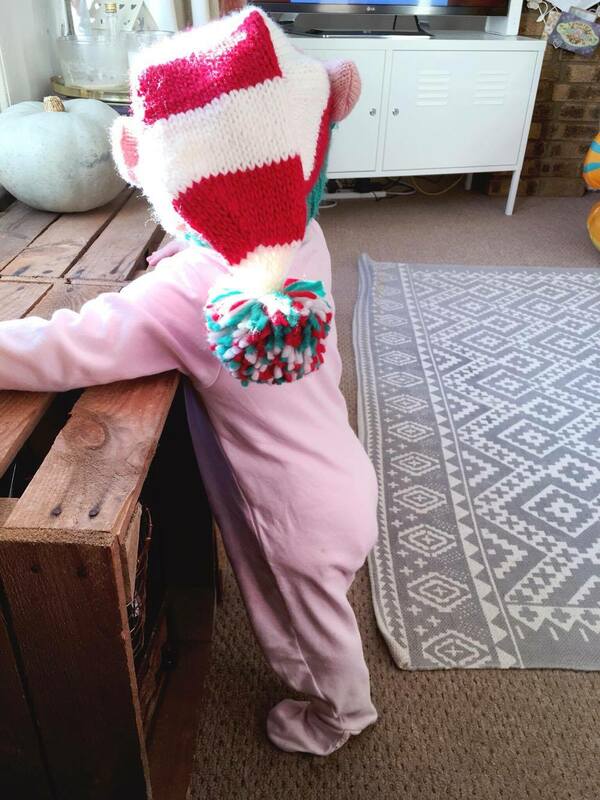 This Elf has been wandering around the hall wearing my Elf hat and looking cuter than any Santa's helper there ever was. She most certainly has my Christmas spirit! Awww a little elf in a cute onesie! She's so lovely. Haha, I'm glad I'm not the only one getting those big slobbery, open mouthed kisses! Oh my goodness how gorgeous is that Christmas outfit!!! What a beautiful bubba!